AL-UDEID AIR BASE, Qatar (AP) - Turkish and American troops could begin conducting joint patrols in a matter of days around the northern Syrian city of Manbij within the coming days, the top U.S. commander for the Middle East said Sunday. 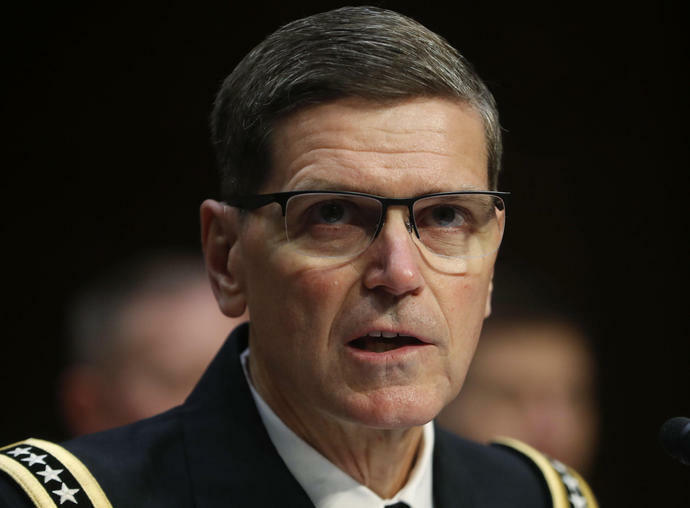 Army Gen. Joseph Votel, head of U.S. Central Command, told reporters traveling with him that the soldiers' training is expected to last "several more days," and then will transition to combined patrols. The initial instruction of Turkey's military trainers began at the beginning of the month, then all the troops were brought together for training to ensure they can all communicate, work together and operate with the same military tactics and procedures, particularly if there is an attack or other incident. The patrols will add to the security of the are, Votel said, adding that right now Manbij is stable and "we want to double down and consolidate our gains."